Bring a water bottle, all sparring gear, uniform pants and belt! Grass Roots Training Goal: Have the students leave feeling they learned something new to practice, gained confidence, and wanting to come back for more. 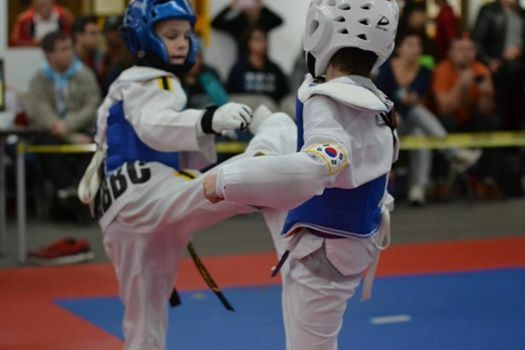 Build an interest in Sport Taekwondo creating a strong foundation for our future! World Class Training Goal: Enhance your athlete's sparring game by training with a larger pool of high-level taekwondo peers. Raise the level of Sport Taekwondo training and supplement their skill set. ITSO will collaborate with a TEAM of coaches dedicated to the advancement of all athletes creating unity, which makes Illinois Taekwondo STRONG – when we work together, GREAT THINGS HAPPEN! You are welcome to send your athletes to ITSO training events without a coach; all coaches are bound by an oath of integrity and professional courtesy. Any coaches in attendance may be asked to contribute their time and talents!